Please Regulate Guns Like Cars! There is a popular idea that we should regulate firearms the way we regulate automobiles. Really? Let’s see where that road leads. I wrote this for fun, but I was amazed at the ways we infringe on the right to bear arms. Tell me what you think if we regulated firearms the way we regulate cars. Because we now regulate guns like we regulate cars, each state and city now recognizes your drivers concealed carry license. We can finally buy and sell our cars firearms across state lines. We can walk into a gun store and drive away with a new firearm in minutes. We can rent a gun for the afternoon if our gun is in for repair. We can drive shoot all we want on private property. Now we can buy, own, and sell all the guns and ammunition we want, and we can store our equipment anywhere we have room. Several people can own and operate the same firearm. Because we now regulate guns like we regulate cars, there is no age limit to own a gun. Parents, grandparents and relatives can now freely give guns to small children. We simply mail in a piece of paper, and the state sends us a new title for our gun in a few weeks. That is sweet. The city provides gun-storage locations, free of charge, in front of no-gun zones in order to attract customers to downtown. Courts will no longer take our cars guns away during a bitter divorce. We can rent a gun at the airport if we left our personal gun at home. A gun dealership will lease us a firearm on a five year payment plan. 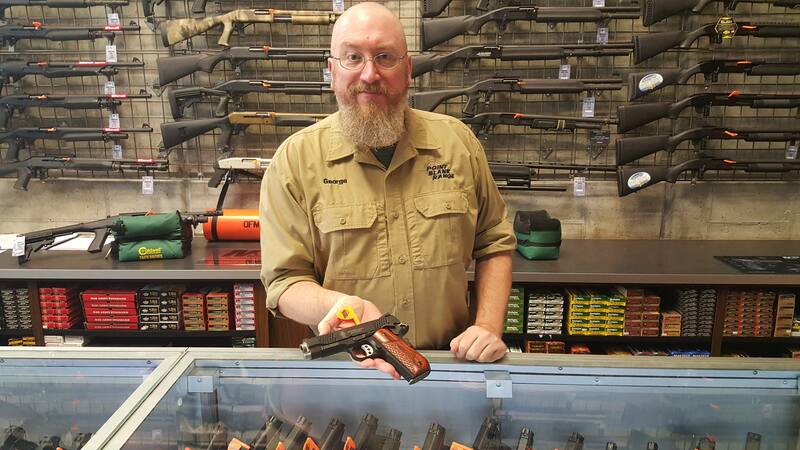 Would you buy a used gun from this man? Now we can ship and buy gun part in the mail. Now we can walk into the US post office with our gun or gun parts. Now that we regulate guns the way we regulate cars, even convicted felons can own a gun once they are off probation. We can now own a gun of any length without having to ask the government for permission. Our 16 year old can bring a gun to and from school and to his after school job. When our goofball nephew shoots a gun in public without a license.. he now gets a ticket.. and we get a phone call to come pick up our gun. We can have gun stores and shooting ranges next door to schools, daycare centers, hospitals and churches! We will finally have gun shops on every other corner to sell ammunition and Doritos chips. Our local convenience store changes its name. The sign that said Gas-and-Go was replaced by a sign that said Shoot-and-Scoot. Kids can get their concealed carry permit at 16 years of age. Schools now offer gun safety and defensive shooting classes when kids are 15 years old. We can build our own gun in our garage from a kit. Just like cars, we need a special firearms license if we want to operate a gun weighing more than 26 thousand pounds in public. 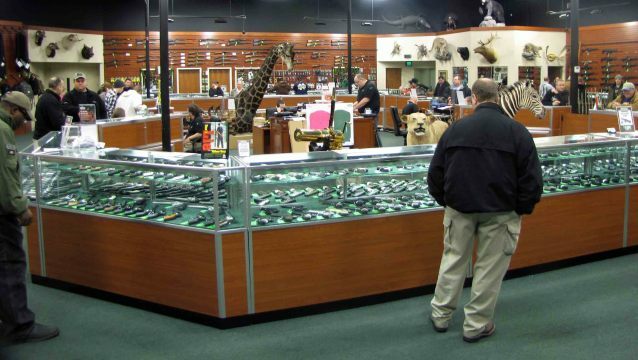 Gun dealers and gunsmiths don’t need federal reporting requirements any longer. We decide who will be the designated concealed carrier before we go out drinking. We’d finally get rid of national gun registration. In some states, we might even get a tax credit if we buy a small and efficient gun. What a country! Unfortunately, politicians like power more than we like freedom. That is why we won’t regulate guns like we regulate cars. Wait, they can’t own a car on probation?